John Milne Bramwell was born in Perth, Scotland, May 11, 1852. The son of a physician, he studied medicine in Edinburgh, and after obtaining his degree of M.B., in 1873, he settled at Goole, Yorkshire. Fired by the unfinished work of Braid, Bernheim and Liébeault, he began, in 1889, a series of hypnotic researches, which, together with a number of successful experiments he had privately conducted, created considerable stir in the medical world. Abandoning his general practice and settling in London in 1892, Dr. Bramwell became one of the foremost authorities in the country on hypnotism as a curative agent. 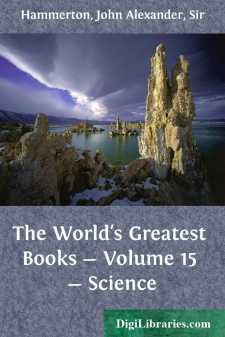 His Works include many valuable treatises, the most important being "Hypnotism: its History, Practice and Theory," published in 1903, and here summarised for the World's Greatest Books by Dr. Bramwell himself. Just as chemistry arose from alchemy, astronomy from astrology, so hypnotism had its origin in mesmerism. Phenomena such as Mesmer described had undoubtedly been observed from early times, but to his work, which extended from 1756 to his death, in 1815, we owe the scientific interest which, after much error and self-deception, finally led to what we now term hypnotism. John Elliotson (1791–1868), the foremost physician of his day, was the leader of the mesmeric movement in England. In 1837, after seeing Dupotet's work, he commenced to experiment at University College Hospital, and continued, with remarkable success, until ordered to desist by the council of the college. Elliotson felt the insult keenly, indignantly resigned his appointments, and never afterwards entered the hospital he had done so much to establish. Despite the persistent and virulent attacks of the medical press, he continued his mesmeric researches up to the time of his death, sacrificing friends, income and reputation to his beliefs. The fame of mesmerism spread to India, where, in 1845, James Esdaile (1808–1859), a surgeon in the East India Company, determined to investigate the subject. He was in charge of the Native Hospital at Hooghly, and successfully mesmerised a convict before a painful operation. Encouraged by this, he persevered, and, at the end of a year, reported 120 painless operations to the government. Investigations were instituted, and Esdaile was placed in charge of a hospital at Calcutta, for the express purpose of mesmeric practice; he continued to occupy similar posts until he left India in 1851. He recorded 261 painless capital operations and many thousand minor ones, and reduced the mortality for the removal of the enormous tumours of elephantiasis from 50 to 5 per cent.